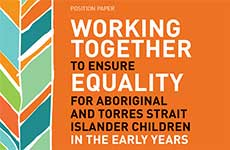 Aboriginal and Torres Strait Islander children are twice as likely as other children to be developmentally vulnerable when they start school. Evidence suggests that access to high quality early education holds the greatest potential for improved outcomes for our children. 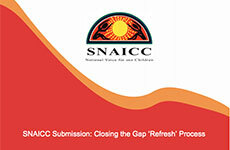 SNAICC supports strong and enabled Aboriginal and Torres Strait Islander designed, managed and delivered early years services. 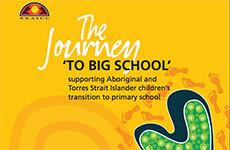 Aboriginal and Torres Strait Islander early years services offer a unique type of support that is culturally grounded, holistic and responsive to the needs of our children and families. Ensuring the highest quality early childhood education and care (ECEC) services, and other wrap around supports for our children and their families is the primary goal of our work.  We work directly with our members to advocate for sustainable, equitable and adequate funding to enable such services to meet the holistic needs of their communities, families, and children. We also seek to ensure that governments and mainstream services develop culturally safe and responsive policies and practices that increase access and improve outcomes for Aboriginal and Torres Strait Islander children early in life. 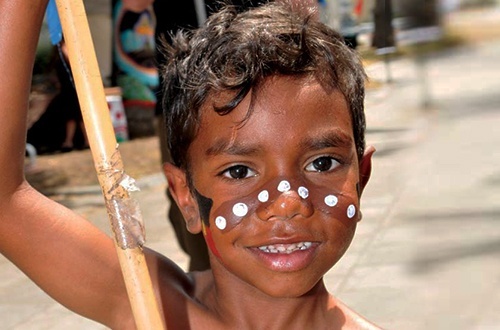 Governments across Australia commit to clear targets and a national strategy to improve early childhood development outcomes for Aboriginal and Torres Strait Islander children through the Closing the Gap refresh. 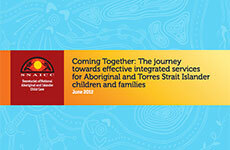 Investment in quality Aboriginal and Torres Strait Islander community-controlled integrated early learning and family-focused services is prioritised. 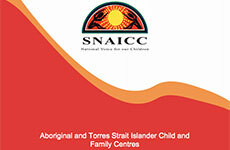 There is close monitoring and public reporting of the impact of the Child Care Package on Aboriginal and Torres Strait Islander children to ensure the goal of increasing their access to quality early education and care is achieved. 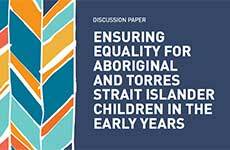 Cultural competence of early childhood education and care providers is improved to guarantee implementation of the guiding principle in the National Quality Framework on valuing Australia’s Aboriginal and Torres Strait Islander cultures.